Google is announcing a ton of new enterprise products and services today, and one of them is the aptly named Drive File Stream. It does exactly what the name implies—it streams files from Google Drive on your desktop as you need them rather than syncing everything and gobbling up your hard drive space. 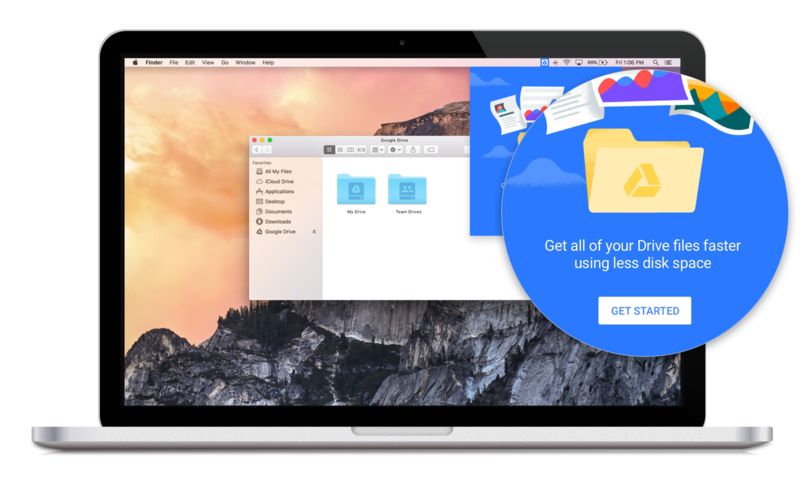 Drive File Stream is for Windows and Mac, and it requires a business, education, or enterprise G Suite subscription. Rather than downloading all your company's files to a computer, Drive File Stream simply makes them searchable in the desktop file system and intelligently downloads what you need. It also guesses at what files you'll need in the future and caches those offline. It's similar to a product that Dropbox announced for business accounts a few months ago. Google pitches this primarily as a way to make large volumes of shared data available without a large amount of local storage, but it's also a tool for protecting your company's data. An employee can't lose all your stuff if he or she doesn't have actually copies of it. Those with qualifying accounts who want to give File Streaming a shot immediately can sign up for the Early Adopter Program.